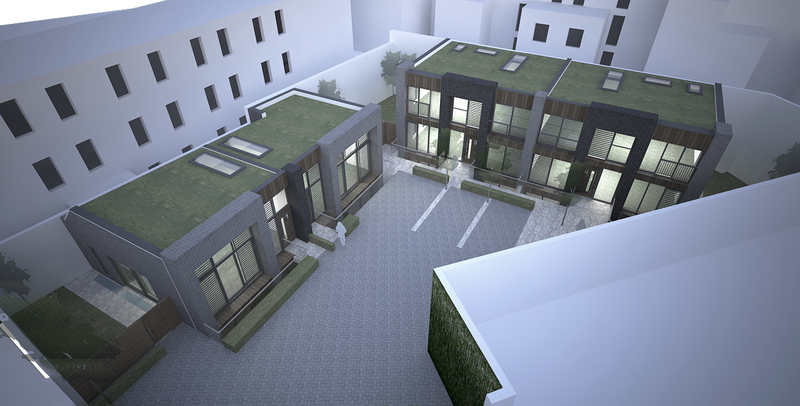 This project presents an exciting opportunity to regenerate and realise the full potential of an under utilised backland plot in Fulham. 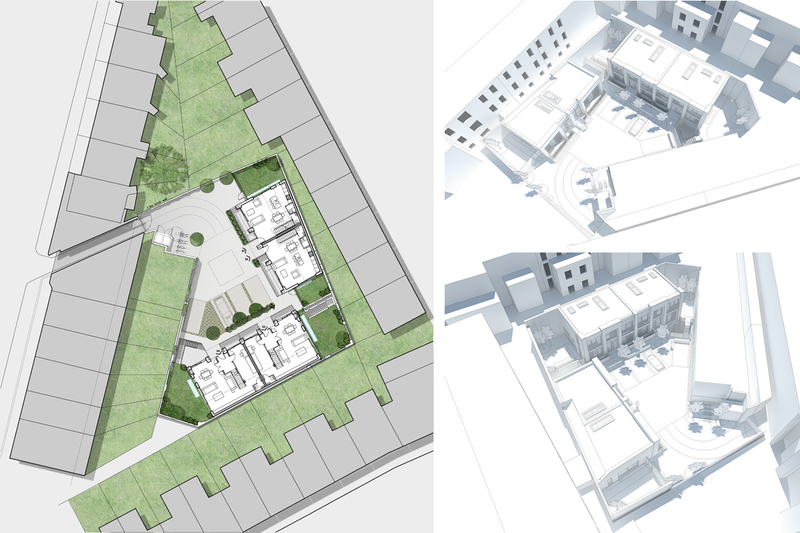 It furthermore represents an ever increasing challenge in London, by trying to strike a balance between the site’s development potential and its sensitive location. 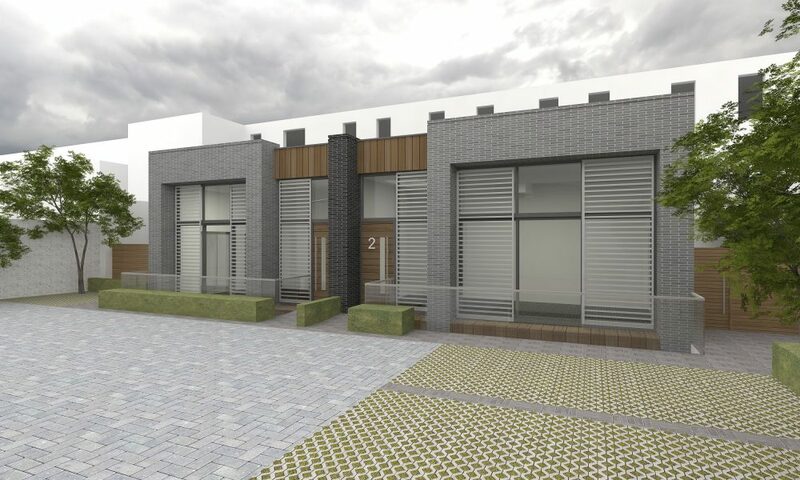 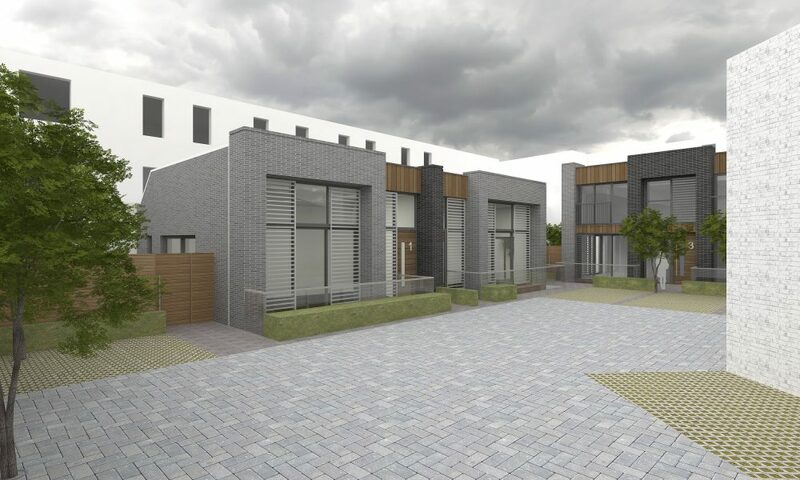 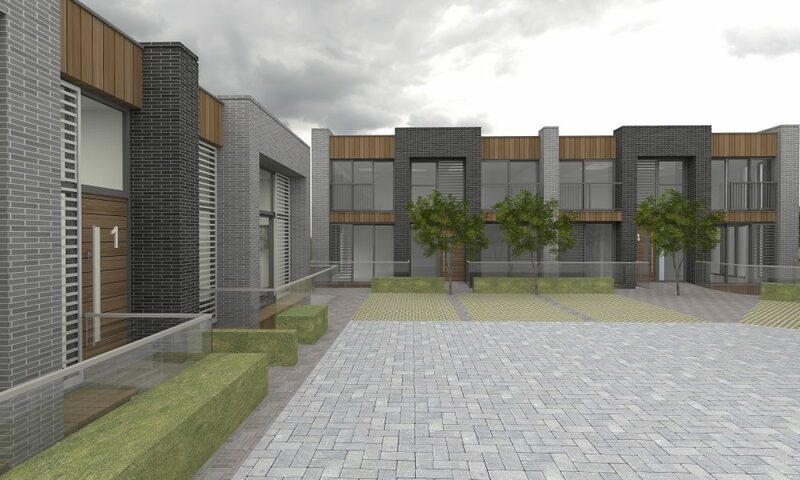 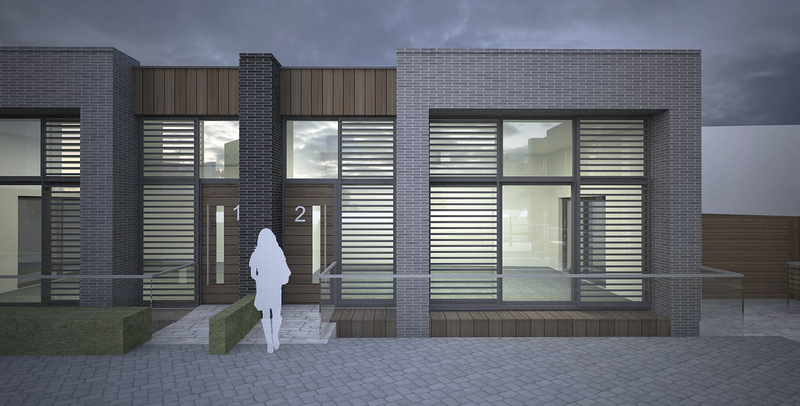 This new build design will provide a modern mews development, consisting of 4 high quality landscaped townhouse units that will make a positive contribution to the conservation area and visual amenity of the surrounding residential developments. 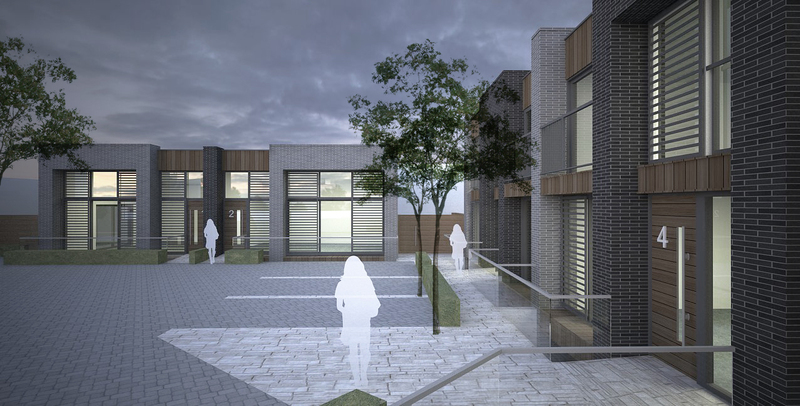 The scheme includes a number of sustainable initiatives including extensive sedum green roofs for all houses with low growing plants and rain water harvesting and recycling system where the rain water will be collected from the a hard standing areas and the roofs of the buildings and stored in a large water storage vessel.